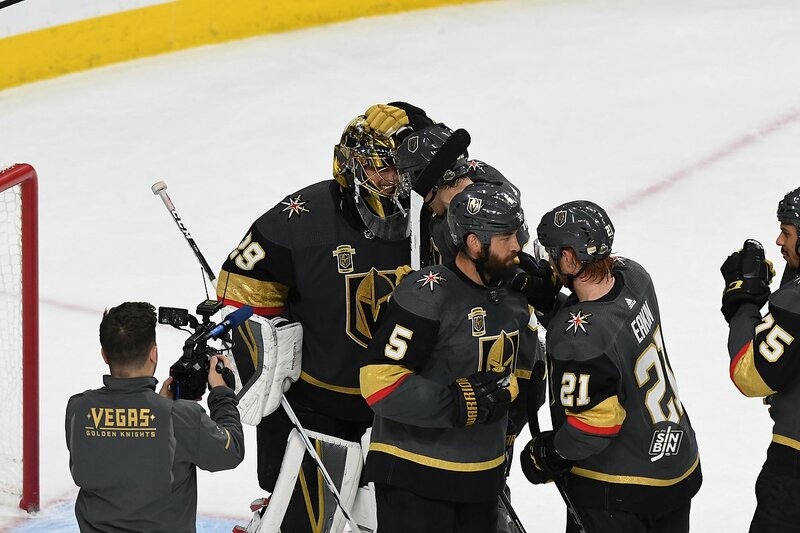 Tonight the Golden Knights will hit the ice as the home team in Game 1 of the Stanley Cup Final. There’s a narrative around this expansion team that they were gifted the success they are having. We’re here to show you how ridiculous that is from every angle we can. 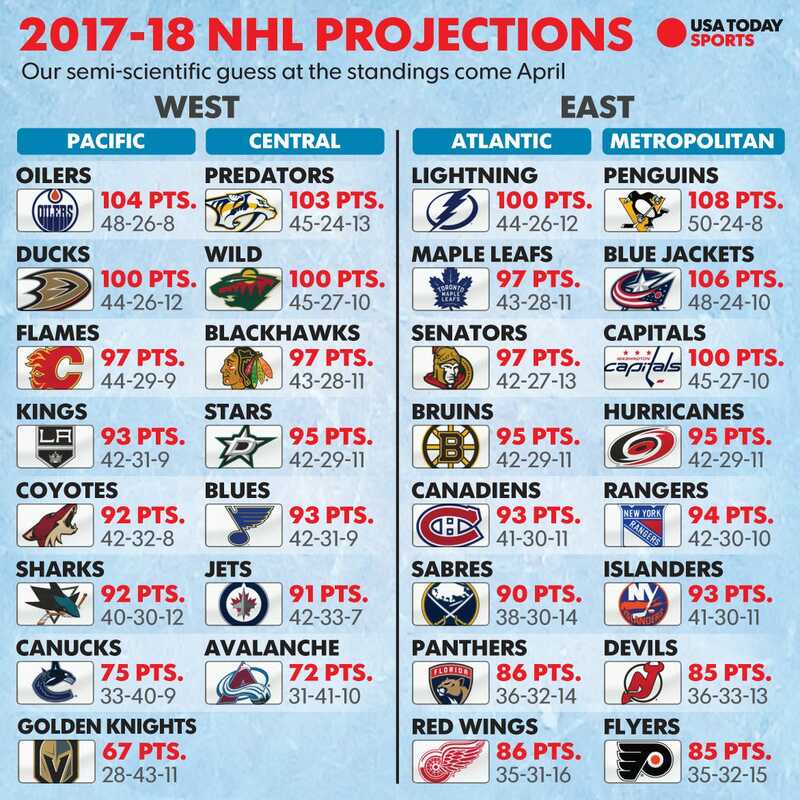 Dom’s computer gave the Golden Knights an 18% chance of making the playoffs and projected them at around 83 points. Believe me when I tell you, this was a very good outlook for Vegas comparatively. 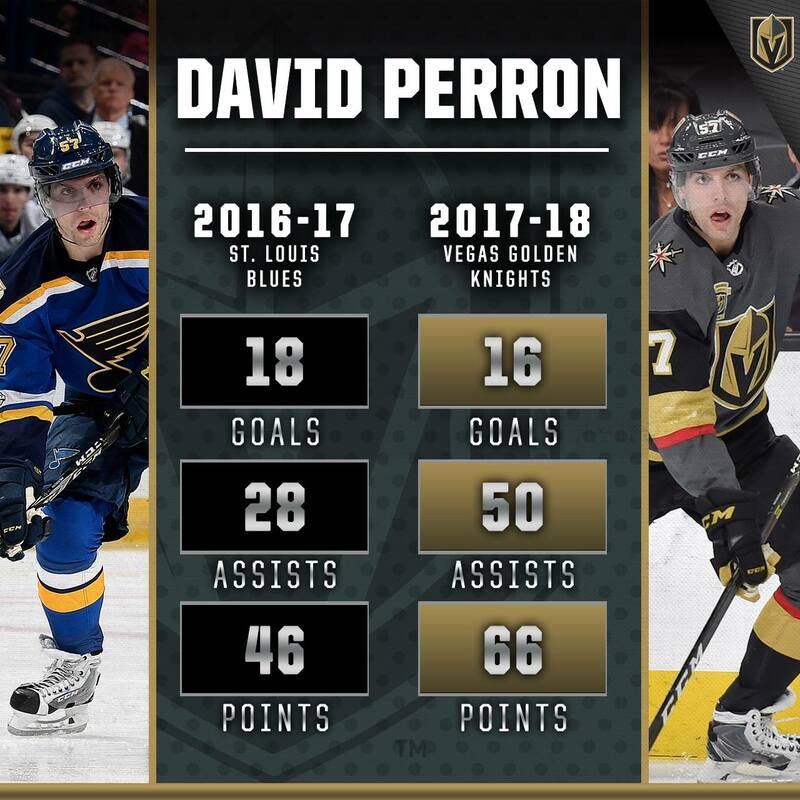 On August 7th we made a chart of what the Golden Knights would look like if every single player on the roster had a career year in scoring. 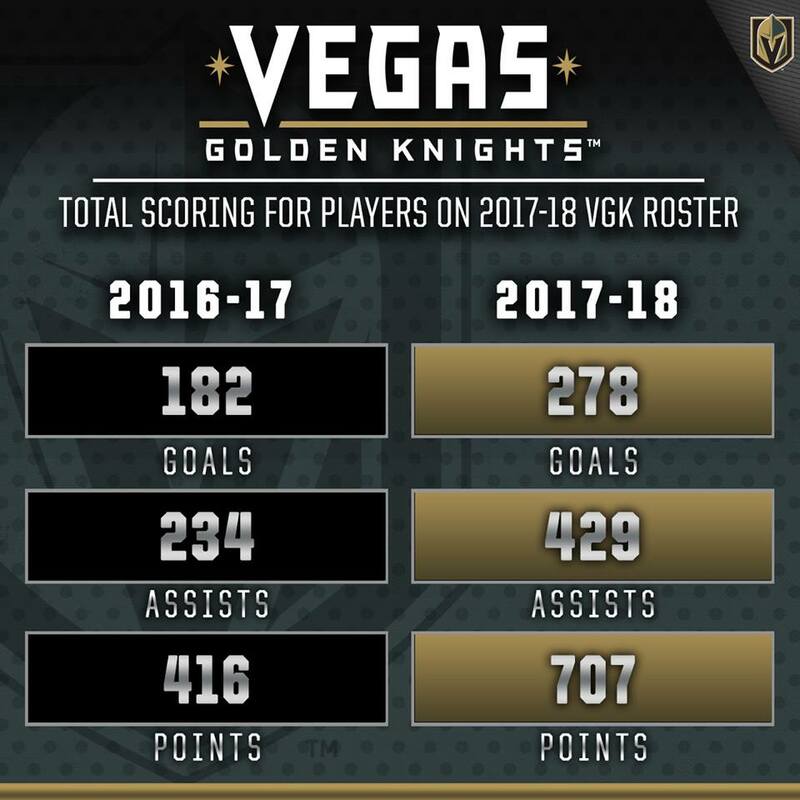 When we added it all up, the Golden Knights came away with 243 goals, which would have been good for 10th in the NHL in 2016-17. The point of the exercise was to show that it’s going to take the best out of every single player for them to even be competitive. 243 goals, if every guy has the best offensive year of his life. The Golden Knights scored 272. 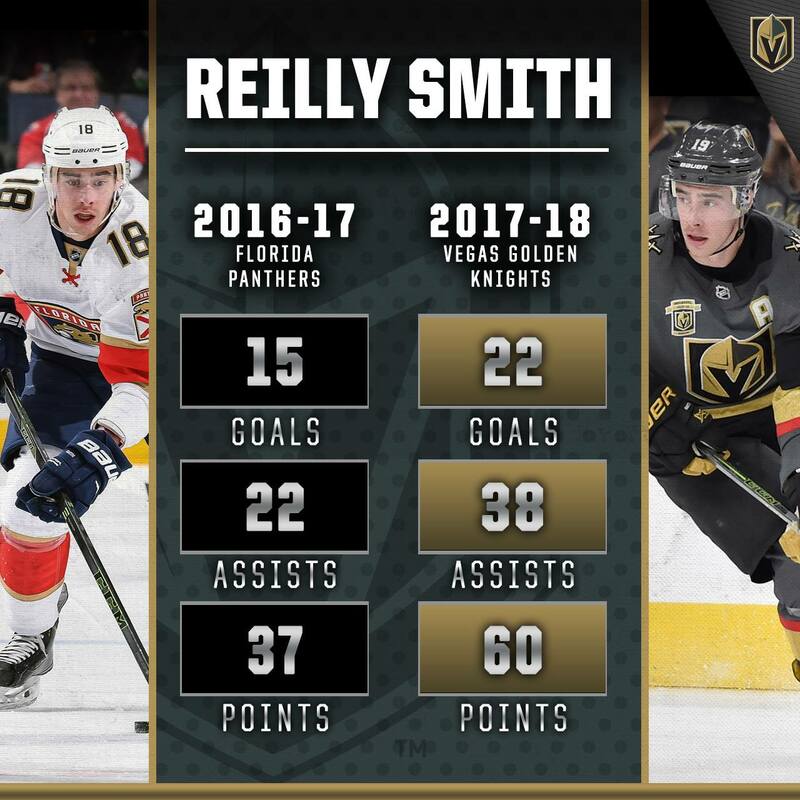 The NHL put out a series of graphics to show how unbelievable the Golden Knights season was. I’ll let them speak for themselves. Friend of the site and former Guest Post author Kevin Horton wrote up this breakdown showing where every player played on their old teams last season. This was not a collection of previous All Stars. 6th in scoring for the Panthers in 18:21 minutes per games, which was the most among their wingers. So I’ll call him a 1st liner. Florida fans may argue he was really more of a 2nd liner but I’m not 100% sure. Had 41 points for Nashville and was 3rd among forwards with an ATOI of 17:42. Was 3rd in Florida in scoring and led them with 30 goals even though they were technically playing him for basically 3rd line minutes (16:55)the whole season. But I’ll call him a 2nd liner here just for the benefit of the doubt. Cody Eakin was 3rd among Dallas forwards in minutes played but I believe he was mostly utilized as a 2nd/3rd line center and on the PK. He only had 12 points in 60 games for the Stars and it may be more appropriate to call him a 3rd liner. Had 25 points for Columbus with an ATOI of13:23. 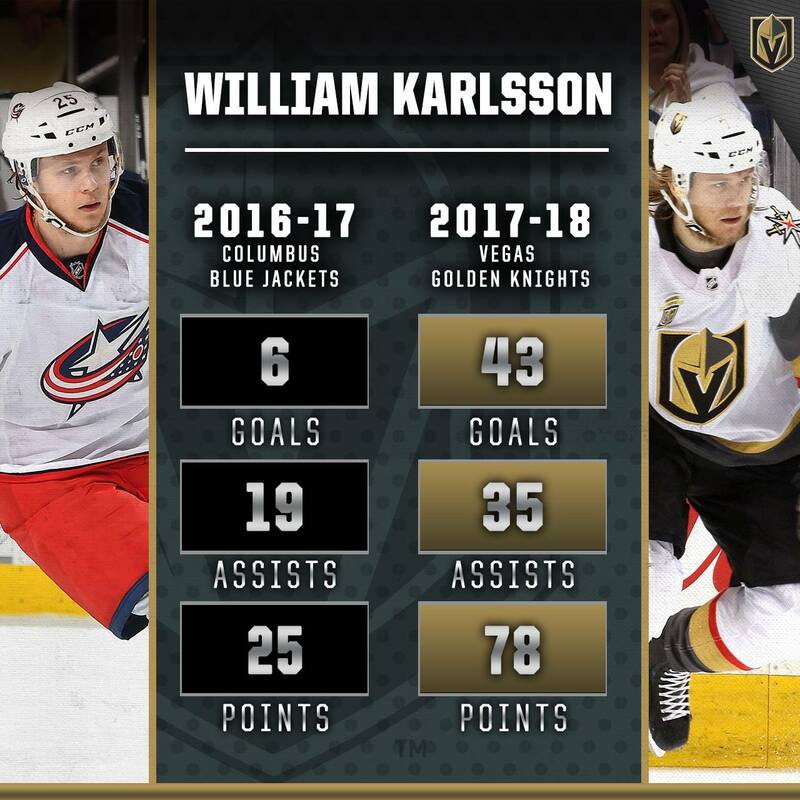 Ranked 9th in ATOI among CBJ forwards. Was 10th in minutes among MIN forwards with an ATOI of 13:49 and had 26 points. Average 12:58 of ice time and scored 8 points in 82 games. Had an ATOI of 9:00 minutes in 41 games for Buffalo and had 8 points. 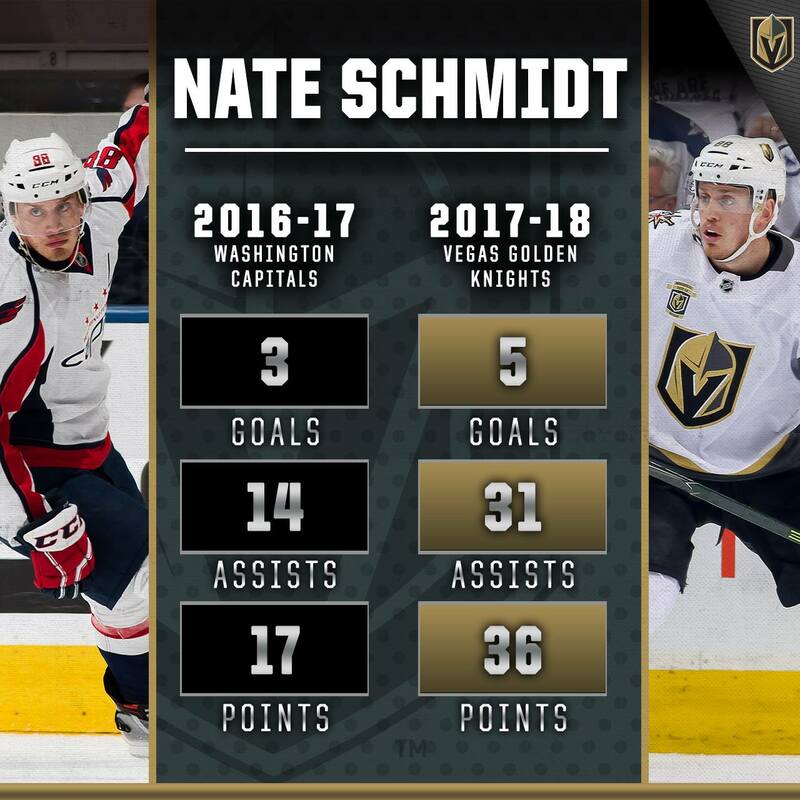 Played 60 games and was basically replaced by Kevin Shattenkirk at the trade deadline for Washington. Averaged 15:29 per game in ice time which was 6th amongst the D-men. Had 17 points on the season. Broke back into the line up for 11 of the 13 playoff games and was usually 5th or 6th in ice time as Washington elected to go with 7 defensemen for some games. Played 49 games for the LA Kings and was 5th in ATOI among Kings defensemen who played over 41 games. Had 4 points the whole season. Was sixth in minutes played among the Calgary defense corps. Had 16 points on the season. Played 61 games for the Bruins and averaged 15:49 on the ice. Sixth among defensemen with at least 41 games. Had 13 points. Played all 82 games for Vancouver and had 13 points with an 18:59 ATOI which was 5th among Canuck’s D-men with at least 41 games. 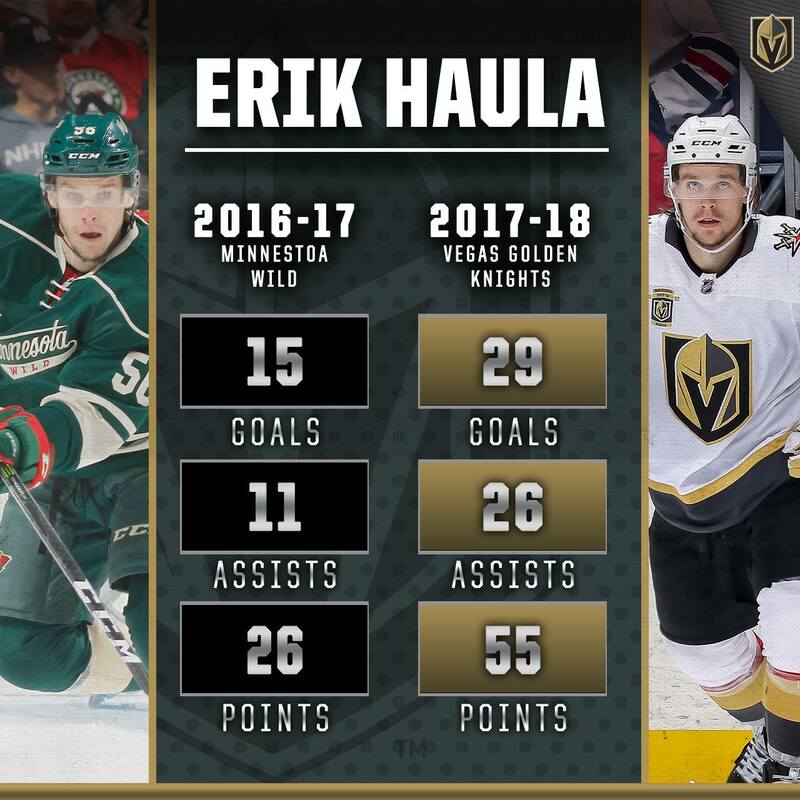 Maybe the closest thing Vegas got to a 2nd pairing D-man and he played the least amount of games compared to everyone on this list. 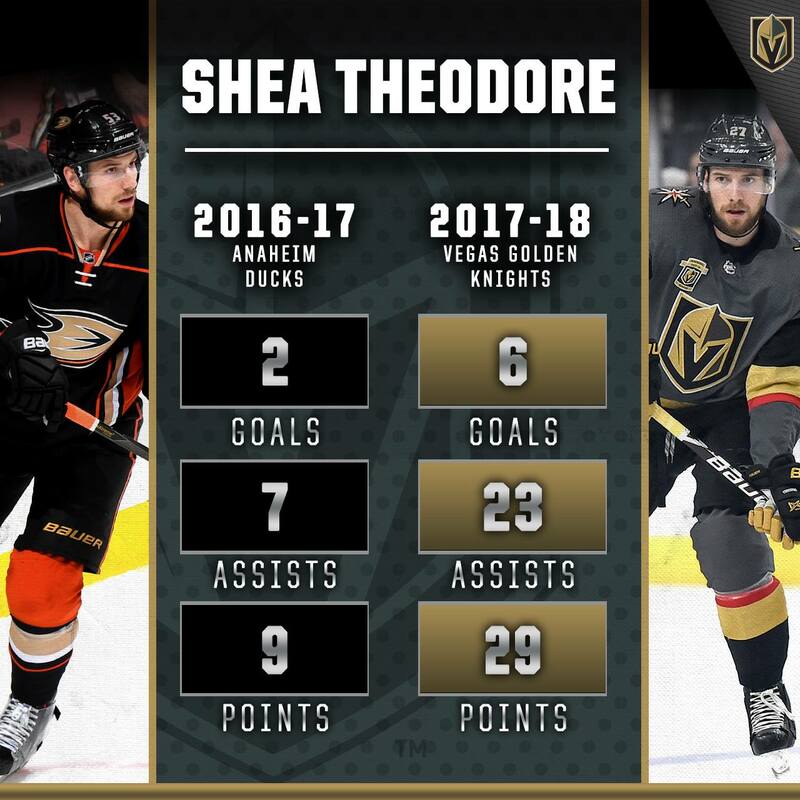 Played a combined 53 games in two seasons for Anaheim and 20 playoff games. Had 25 points in those 73 combined games. When he was in the line up he was playing 3rd line minutes. 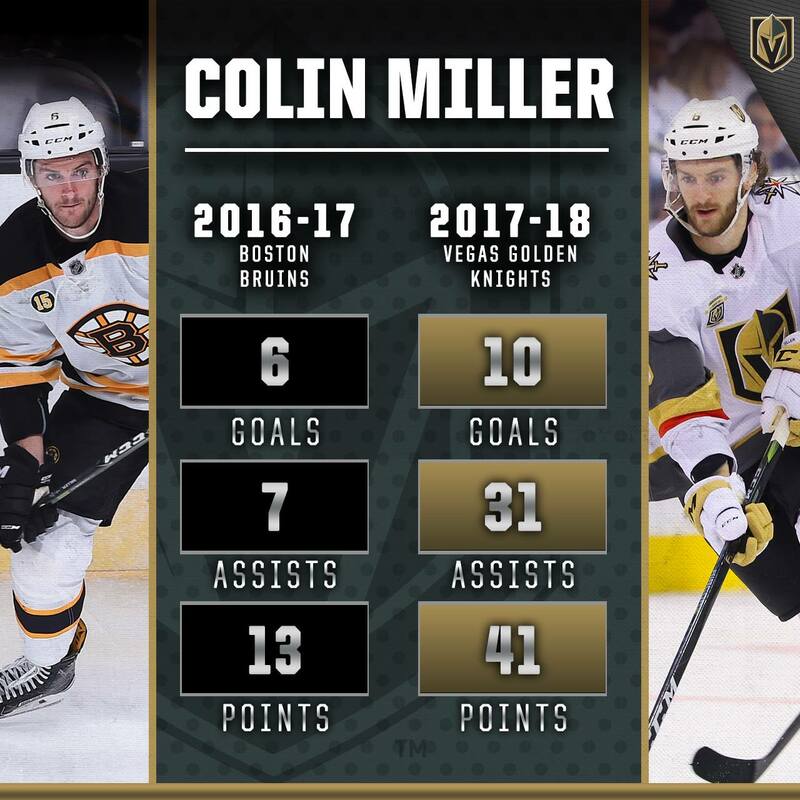 There are hundreds of other ways to look at this, but the fact remains, the Golden Knights are an incredible story of overachieving expectations and nothing else. $500 million did not buy a Stanley Cup Final apperance, unbelievable scouting, incredible coaching, and a group of players that all played the best hockey of their lives did. wow…..holy crap. what a detailed breakdown. great job, as always—thx ! !